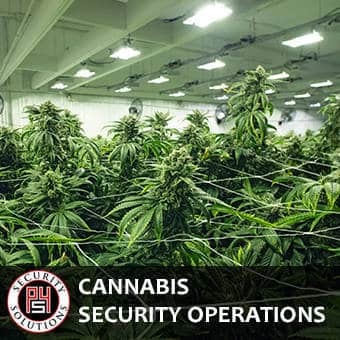 P4S provides a menu of protection services such as off duty police services, executive protection and cannabis security. Our roster is comprised of a large roster of off duty police officers, protection specialists and highly trained security professionals. P4S hold the highest standards in recruitment and focus on training and continued education to keep our team focused on industry trends. P4S implements the best and newest techniques to ensure our clients are protected. When there is a potential for threat, there is no one more well equipped, trained, and disciplined to handle the situation than an Off-Duty Police Officer. Our company is recognized throughout Chicagoland and Illinois as the premier provider of professional Off-Duty and Retired Police officers. Our security roster exclusively consists of several hundred seasoned active and retired law enforcement officers. Whether you need security service for a single event or around the clock coverage, we have you covered. High profile clients depend on P4 Security Solutions for comprehensive executive protection services and solutions. The experience of our management team and executive protection specialists/bodyguards is unrivaled in providing executive security to our specialized clientele. Our proven methodology sets us apart from other executive protection companies, providing security in a broad spectrum of situations and events. P4 Security Solutions delivers one-source security solutions in areas affecting both human and other physical resources.